Jordanian, holds PhD in colloid and surface chemistry from Clarkson University (NY, USA) Since 1995 she conducts research Applied Physical Chemistry, Since 2008 she is Full Professor at the University of Jordan (UJ, Amman, Jordan), for 6 years she was director of research center (HMCSR) & for 2 years dean of Academic Research at UJ. Now she is General Director of Scientific Research Support Fund ( SRF) at the Minister of Higher Education and Scientific Research (Jordan) she has around 60 published articles and 30 funded projects included chemical and Physical conservation of Culture Heritage. Jordanian, Chairman of the Board of Taqniyat At Turath in Amman. He has been Vice President of The Hashemite University where he established Queen Rania Institute of Tourism and Heritage. He designed a GIS system for Petra Monuments and won the Rolex Award for Entrepreneurs in 2008 for this system. He led many Cultural Heritage projects and was first author and editor for a fully integrated Conservation Management Plan for Petra. Turkish, holds a PhD in Archaeometry from Middle East Technical University (Turkey-Ankara). Since 2012 conducts many researches on determination authenticity of metal archaeological objects for different museum of Turkey. He carried out an importanat research that proof ownership of Golden Winged Sea Horse and returned it to Turkey by using non-destructive archaeometric techniques. He worked for Culture and Tourism Ministery from 2007 to 2013, and works for Batman University, Department pf Archalogy as Assistant Prof.Dr. since 2013. He translated from English to Turkish UNESCO Cultural Heritage Hand Books and Scientific Techniques and Risk Management in Museums pubished in a book as bilingual. Mexican, Conservator/ARCHMAT student (2015-2017). Since 2008 participate in projects for the conservation in-situ of different paintings from historical and archaeological sites as partner of the National Institute of Anthropology and History (INAH-Mexico); particular interest and professional experience in Rock Art sites from Mexico and international volunteering during 2015 in Kenya (Trust for Afrikan Rock Art). Italian, a degree in Political Science, MoA in Constitutional Law, since 1991 is a professional journalist with an international career abroad as Communication Consultant for the EU in the Middle East, the Balkans and North Africa. She is senior contributor at Corriere della Sera (‘Sette’, Corriere Fiorentino) and lecturer at the University of Bologna in a Master in ‘Human Rights, migration & development”. Italian, heritage conservation and management specialist with experience in heritage documentation and interpretation (CIPA member since 2013), heritage policy and legislation and culture as a tool for socio-economic development. Since 2010 she works at the UNESCO Office in Amman as responsible for projects related to the conservation and management of the World Heritage site of Petra, including the development of disaster risk reduction approaches and risk management strategies. She is also involved in supporting the government of Jordan in the implementation of the World Heritage Convention for Jordanian World Heritage and Tentative List sites. Lebanese American, PhD in Urban Studies, UIU, Ohio, 2005. Since 1992 served as the Founding Director of the School of Engineering & Architecture, at the Lebanese American University (LAU) , Present- Director for the LAU- Louis Cardahi Foundation &Chair of the Department of architecture. Since 2005, Director of internal affairs, world association of cultural heritage. (WATCH), Present , Member of the Scientific Committee of the Cultural Route of the Council of Europe “The Phoenicians’. Nino Chanishvili – Georgian, holds MA in History and Theory of Art from Tbilisi State Academy of Fine Arts and MA in Heritage Management from the University of Birmingham. She conducts research, leads projects and provides policy advises to state institutions in the fields of heritage protection, strategic planning and public administration. Since 2012 she is a Senior Research Fellow at the National Research Centre for Georgian Art History and Heritage Preservation. Italian, an MA and Post Graduate in Architecture at the University ‘La Sapienza’ in Rome. 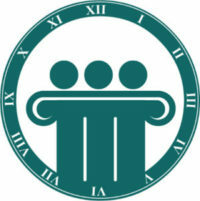 Since 1984, a member at the Board of Architects of Rome. President of Alchemia Project Associates. He is the Secretary General of the World Association for the protection of Tangible and Intangible Cultural Heritage in times of armed conflicts. Supervises research on low and high tech applied to cultural heritage. Coordinates and/or manages international programmes and project for international organisations such as the Italian Ministry of Foreign Affairs, the World Bank and the EC. He worked in Africa, Asia, Latin America and Europe. Irish, she is a paper conservator and lives in Ireland where she trained in the Paper conservation Department of the National Gallery of Ireland following a BA in the History of Art. She is an accredited member of the Institute of Conservator-Restorers in Ireland. She has published and delivered several papers and lectures on her work including an advisory manual on Collections Care for the Heritage Council of Ireland as part of their Museums Accreditation scheme. Susan has been with E.C.C.O. since 2003 serving as Secretary General for 6 years and in 2013 Susan was nominated its President. Susan coordinated the working group on competences for access to the profession which the work of which was subsequently published in 2010. Croatian, holds a bachelor in Philosophy and master degree in Archaeology from University of Humanities and Social Sciences in Zagreb, Croatia. Currently is an ARCHMAT scholarship holder, masters in Archaeometry and Material science applied to cultural heritage. Since February 2017 conducts a research on migration and paleo-diet via stable isotope analysis from Bribirska Glavica, Croatia within Hercules laboratory, Évora, Portugal. Her interests are Late Antiquity, Early Christianity, Early Middle ages and implementing Archaeometry into current Archaeological research. She is an active member of several excavation projects across Europe, North Africa and Near East. British, holds a PhD in Archaeology from the University of Edinburgh (Scotland). Since 1994 has conducted research on archaeology in Jordan, specialising in the Neolithic and cultural heritage management. Since 1999 has been the Director of the Council for British Research in the Levant. He is a Visiting Professor of Archaeology at Reading University and a Corresponding Fellow of the German Archaeological Institute. Dutch, based in the UK, holds a PhD in Archaeological Science from the University of Reading. Her research focuses on human-environment interactions in the Holocene Middle East, but also includes cultural heritage and experimental archaeology. Research assistant for the Endangered Archaeology in the Middle East and North Africa (EAMENA) project at the University of Oxford since 2016. Jordanian, Director of Zarqa Directorate of Antiquities, manager of colour lab. separation in saudia arabia from 1984-1989. Participating in over than 150 excavations as a supervisore or directore or represintitive with foring teams. Research and report writing in English which consisted of 32 contact hours held by the center of consultation, technical services and studies 1993. Italian, full professor od Applied Physics at the University of Rome “La Sapienza”. He is involved in several post-graduate courses on health physics, nuclear medicine, medical imaging and on the safeguard of Cultural Heritage. He was the first director of the course for formation of Conservation Scientists at the University of Rome “La Sapienza”. He is author of a large number of papers concerning the x ray physics and the development of techniques in journals of physics and applied physics and, more recently, on technique for image acquisition and processing. He is involved in some international collaboration and was invited speaker in national and international conferences in biomedical physics and archaeometry. Turkish, she is dealing with the relationship between the sustainable development of the countries and protection of the cultural heritage since 1996. In 2006, she was one of the founder members of the Friends of Cultural Heritage-FOCUH , Istanbul – TURKEY and World Association for the Protection of the Tangible and Intangible Cultural Heritage in Times of Armed Conflict (WATCH), Rome – ITALY. From 2006, she acts as the President of the Executive Committee of FOCUH, has took part in the European Union (EU) Projects coordinated by FOCUH and presented numerous papers at national and international conferences. Jordanian, studied archaeology and received his BA and MA at University/Jordan and his Ph. D. at the Freie Universitaet Berlin /Germany. He is a faculty member of the Faculty of Archaeology and Anthropology of the Yarmouk University since 1982. His major field research and subsequent publications have centered on archaeological excavations and surveys with special emphasis on sites ranging from the Neolithic to the end of the Iron Age periods. The results of his research are published in the local, regional and universal scientific journals. He served and still serving as an Editor-chief and a member of the editorial boards of several national and international journals. Italian, holds a MsC and PhD in remote sensing . She is senior research at the Italian National Council Research and has more than twenty years of experience in modeling and processing of passive (multispectral and hyperspectral) and active (Radar, Lidar) data acquired from satellite, airborne and ground remote sensing. Her research activities deals with modeling, data processing and integration for cultural heritage, Landscape and risk monitoring. She is author or co-author of 350 peer reviewed papers. She is Editor of NHESS, academic Editor of RS , guest editor for JCH, JS, AP, JAG. IJRS, EM. PI for numerous. Spanish, Dr. Eng. in Geodesy and Cartography from the Universitat Politècnica de València (UPV), Spain. Published scientific papers in subjects related with imaging, range and multispectral sensors in the field of engineering and architectural-archaeological heritage. Coordinator of the PhD Programme in Geomatics Engineering (UPM-UPV), Editor-in-Chief of the Virtual Archaeology Review and treasurer of the ICOMOS/ISPRS CIPA Heritage Documentation. Jordanian, He is the representative of Jordan in the UNESCO World Heritage Committee and former President of the Society of Friends of Archaeology, was(2006-2008) a professor and Dean of Research and Graduate Studies at Al-Isra Private University, Jordan. He carried out excavations and other research projects in Palestine, Jordan, Germany, Bahrain, Kuwait, Yemen, and Oman. He holds das Grosse Bundesverdienstkreuz from the President of the Federal Republic of Germany (1987), Award of Arab Archaeologists Association, Award of the University of Philadelphia and other awards. He also hold the Award of Humboldt and Reimer-Luest Preis fuer Iternationale Wissenschafts- und Kulturvermittlng (Germany). Italian, holds a PhD in Archaeology from Sapienza University of Rome. He is actually research fellow at Perugia University, Italy, and, since 2008 to date, contract professor in Near Eastern Archaeology at the same university. Since 2012 he co-direct an Italian-Spanish archaeological expedition to the site of Jebel al-Mutawwaq in Jordan. Since 2014 he co-direct the Italian archaeological expedition to the Sumerian site of Tell Zurghul, ancient Nigin, in Southern Iraq. In 2016 he start to co-direct also the Madaba Regional Archaeological Museum Project, in the Madaba Archaeological Park West. Italian, She is currently working as a research support specialist for the NanoRestArt project at the University of Santiago de Compostela, while being enrolled in the Ph.D. program of Materials Science. She holds an MSc in Technology and Analysis of Archaeological Materials from University College London (2014). Daniela was previously trained at the University of Rome La Sapienza, where she received a BSc and an MSc in Science and Technology for Cultural Heritage Conservation (2007 and 2011). She joined ICCROM as a laboratory volunteer, and subsequently worked there for the courses on ‘First Aid to Cultural Heritage in Times of Conflict’, ‘Stone Conservation’ and ‘Communication and Teaching Skills in Conservation and Science’ (2012-2015). Previously she was the local coordinator of the ‘ExCHange’ project on behalf of the non-governmental organization WATCH (2012). US, received his Ph.D. in Anthropology from Arizona State University (U.S.A.) where he was a Scientific Software Engineer in the Institute for Humanities Research, IT Manager for the Archaeological Research Institute and Director of the Geo-Archaeological Information Applications Lab. He has been an ACOR Senior NEH Fellow and the recipient of National Science Foundation and NASA Space Archaeology grants. He is currently retired, and serves as a consultant with the Center for Cyberarchaeology and Sustainability at the University of California, San Diego. He is the developer of the TerraWatchers crowdsourced satellite image analysis application. Italian, Doctor in Geological Sciences, University of Bologna, Italy (1988). National Scientific Habilitation – Associate Professorship (2014). Current Positions: Senior Research Associate – HERCULES Laboratory – Évora University – PT (2009-present). Associated Member – Institute of Earth Sciences (ICT) – Évora University – PT. Coordinator ED-ARCHMAT HORIZON 2020 MSCA-ITN-EJD European Joint Doctorate in Archaeological and Cultural Heritage Science – Coordinator ERASMUS MUNDUS ARCHMAT Master (www.erasmusmundus-archmat.uevora.pt). Évora University – PT. Member ProDeJIP (Association for the Promotion and Development of Joint International Programmes in Higher Education) Brussels. Member – Academic Committee – PhD Program – Earth and Space Sciences – University of Evora – PT. Italian, Holds, High School Certificate from First Institute of fine Art, Professional Qualification in Technical Restorerof Mosaic Art, Registered at the Universities of Studies “La Sapienza” in Rome thesis in progress on Restoration of Mosaics and expected 2017, Since 2016 included in the MiBACT restoration technician’s list, 2015 Conferring by the President of the Italian Republic the Honor of Knight of the Order of the Star of Italy. Since 1991 works in the field of restoration and conservation Mosaics, since 1994 with a partnership †Prof. Father Michele Piccirillo and the Custody of the Holy Land, UNESCO Amman, ACOR Mosaic Centre of Jericho (Jericho Palestine) Madaba Mosaic School (Madaba) Studio Turath (Amman). Indian, holds a B.Tech degree in Mechanical Engg., BA in History and Masters in Ancient Indian History, Culture and Archaeology. From 2010 has worked in development of renewable resources in GBPUAT, Pantnagar and Public & Popular Archaeology in the Deccan College PGRI, Pune. Asst. Manager in Farm Equipment manufacturing 2012-13. Since 2015 a full time scholar in the Erasmus Mundus Joint Masters Archmat 3rd ed. working mostly on archaeometallurgy and elemental analysis in medieval bones. Greek, holds a BSc degree in Conservation of Antiquities and Works of Art from Technological Educational Institute of Athens (Greece). Since 2008 she has been working in several conservation projects in Greece and Middle East, carried out both in laboratories and on-site. Moreover, she worked, as a research assistant, in the National Center for Scientific Research “Demokritos” (Athens, Greece). Currently, she is following her MSc degree in ARCHMAT – Erasmus Mundus master in Archaeological Materials Science. Since 2016, she has actively been involved in an archaeometric project of Kongo Kingdom pottery (Angola, DR Congo, R Congo), carried out in the HERCULES Laboratory (Evora, Portugal). Algerian, holds a B. in Archaeology and a master’s degree in Conservation and Restoration of the cultural heritage (Algeria). From 2012 has worked as a Sector Supervisor in the international collaboration between CNRA and INRAP (France), salvage archaeology, operation in he Casbah, Algiers. In 2014, was a Junior Expert in a program to support the protection and enhancement of cultural heritage in Algeria between the Heritage Branch (Algeria) and the Support Unit Program (European Union). Since 2015 a full time scholar in the Erasmus Mundus Joint Master’s in Archaeological Materials Science – Archmat 3rd Ed. And currently preparing a thesis on Non invasive Imaging and spectroscopic techniques for the investigation of ancient and modern pigments using XRF, FORS , IR False Color and Raman, at La Sapienza University of Rome. Jordanian, holds a Msc in solid state physics from the University of Jordan (Jordan).Currently working as a researcher at the Higher Council for Science and Technology in the International Cooperation Department. Since June 2014, Muna represents the National Contact Point for Marie Sklodowska-curie action (H2020 Mobility Programme).